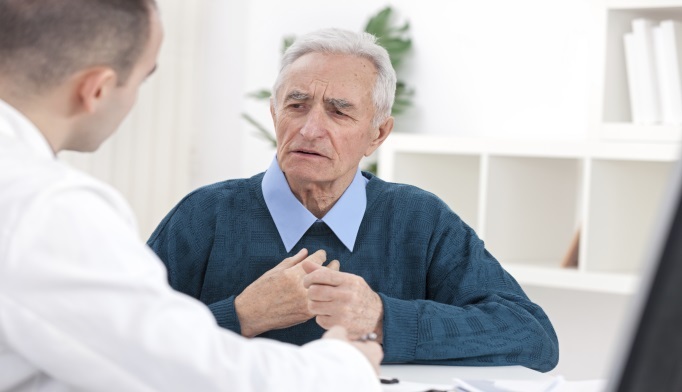 Low-density lipoprotein cholesterol (LDL-C) variability was associated with lower cognitive function in older patients, according to data published in Circulation. Roelof A.J. Smit, MD, of the Leiden University Medical Center in Leiden, The Netherlands, and colleagues investigated the association between LDL-C variability and 4 cognitive domains (selective attention, processing speed, and memory—immediate and delayed recall) in 4428 patients who were part of the PROSPER study (PROspective Study of Pravastatin in the Elderly at Risk). They also studied a subset of 535 patients to determine if an association of LDL-C variability and neuroimaging outcomes existed. All patients were between the ages of 70 and 82 years with preexisting vascular disease (coronary, cerebral, or periperhal) and had total cholesterol levels 4.0 to 9.0 mmol/L, triglyceride concentrations <6.0 mmol/L. Additional characteristics included education, body mass index, current smoking status, alcohol intake, and history of other diseases. Patients with higher tertiles of visit-to-visit LDL-C variability also had higher systolic blood pressure variability in both the control and pravastatin groups (P=.003 and P=.006, respectively). Statin therapy was associated with reductions in both average LDL-C and mean visit-to-visit LDL-C variability (–1.18 mmol/L; 95% confidence interval [CI]: –1.14 to –1.22; –0.02 mmol/L; 95% CI: –0.01 to –0.04). In both groups, higher LDL-C variability was significantly associated with lower cognitive test scores (control group: immediate recall P=.002 and delayed recall P=.001; pravastatin group: immediate recall P=0.006 and delayed recall P≤ .001). The Stroop Color and Word Test and Letter-Digit Coding Test also produced statistically significant associations (P=.017 and P=.11; P=.20 and P=.029, respectively). While researchers found no evidence of an association between LDL-C variability and hippocampal volume, LDL-C variability was associated with lower total cerebral blood flow in the fully adjusted model in both groups (P=.031 and P=.050 in the control and pravastatin groups, respectively). In addition, in the pravastatin group, higher LDL-C variability was associated with greater white matter hyperintensity load (P=.046) but not in the control group. They noted that previous studies have shown lipid-lowering therapy (eg, statins) can lower lipid content in human carotid plaques, possibly to the point of complete atherosclerotic regression of early lesions. Those variations could lead to fluctuations in atherosclerotic plaque composition, causing instability which would increase risk of subclinical cerebrovascular damage. Nevertheless, researchers concluded that their findings underpin the potential for LDL-C variability as a useful prognostic marker of clinical outcomes. They urged future studies to use longitudinal assessments of neuroimaging to further clarify the possible relationship between LDL-C variability and cerebral blood flow and white matter hyperintensities. Disclosures: The PROSPER study was funded by an investigator-initiated grant obtained from Bristol-Myers Squibb. Smit RAJ, Trompet S, Sabayan B, et al. Higher visit-to-visit low-density lipoprotein cholesterol variability is associated with lower cognitive performance, lower cerebral blood flow, and greater white matter hyperintensity load in older subjects. Circulation. 2016;134:212-221. doi:10.1161/CIRCULATIONAHA.115.020627.